North Bay's 2018 Christmas Bird Count will be on Saturday, December 15! 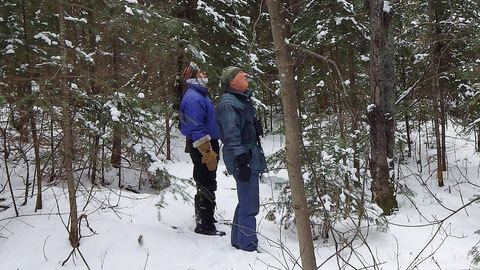 Each December, we call on the bird watchers of North Bay -- both members of the Nipissing Naturalists Club and all other bird lovers alike -- to participate in the annual Christmas Bird Count. It's an event any birding enthusiast can participate in! Field observers work in pairs or small groups to follow pre-determined routes and report on the birds they see. 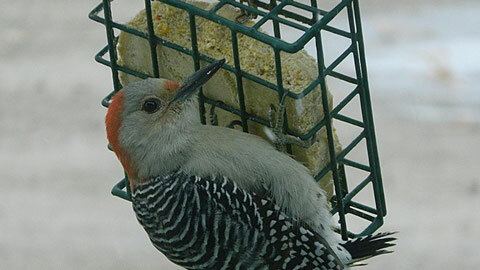 Feeder watchers can participate from home! The recording process is simple, and you simply send us your results. 2018 marks North Bay's 40th year participating in North America's longest-running citizen science project -- the Christmas Bird Count. Since it's beginning in 1900, the Christmas Bird Count has become one of the world's largest wildlife surveys. The data collected is used daily by conservation biologists and naturalists to assess population trends and distribution of birds. The counts are carried out each year in a 24km (15mi) radius that remains the same each year. To take a closer look at the area boundary map, click here. The results of the North Bay's previous Christmas Bird Counts are also all available online! You can search for the results of the previous 39 year submissions on the Audubon website by entering the country, province, and count code ONNB. We also have past data compilations and narratives available here on the website.